Gozo Minister Anton Refalo yesterday alluded to the possibility of calling a referendum to determine whether Gozitans prefer a tunnel or a bridge to connect Malta and Gozo. Flagging the importance of accessibility, Dr Refalo noted that Gozo couldn’t keep depending solely on the Gozo Channel ferries for transportation, adding that the Government was still awaiting the conclusions of feasibility reports. The minister was speaking during a public consultation meeting at the Gozitan Ministry, as part of the Government’s pledge to hear out the public on a range of issues. Following up on the Labour Party’s pre-electoral proposal, Dr Refalo added that expressions of interest have been issued for a fast catamaran service between Gozo and Valletta as well as between Gozo and Sicily. He said the services would be aimed for use by both tourists and Maltese and would involve public service obligations. The Government also intends to issue a call for expressions of interest for the operation of a scheduled air service between the two islands. 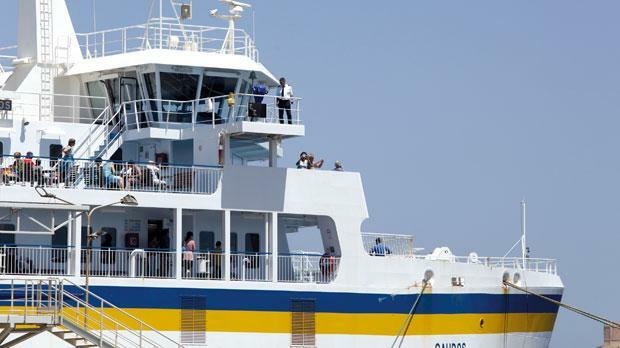 Mentioning that Gozo Channel now falls within the Gozo Ministry’s remit, Dr Refalo drew attention to the years of “bad administration” and “huge mismanagement” of the ferry service, buttressed by the number of incidents which occurred throughout the years. He read out a statement from one of the ferry’s employees who homed in on the criminal racket involving the theft of thousands of euros from the company’s cafeterias which, she verified, had gone on for 12 years. Dr Refalo lambasted the previous administration, criticising its failure to act upon the accusations. He said that the former Gozo Channel chairman claimed he had filed a report with the police, but the police said they hadn’t received anything. When current chairman Joe Cordina filed a report, the minister continued, the police took action immediately and the employees were fired and taken to court. Responding to queries, the minister said that he would be working on improving diving facilities. He also added that the Government was considering erecting a water park for children, while plans were in the pipeline for a park in front to the football ground in Victoria. He referred to the Government’s agreement with the Gozitan diocese under which the Curia in Gozo will provide the use of Dar San Ġużepp in Għajnsielem at a low market rent, while the ministry would take over its administration as a home for the elderly. He also reiterated the Government’s intention to issue a call for expressions of interest by potential investors in a new yacht marina and in a cruise liner terminal.